How to design more effective and needle-free pulmonary vaccines? How can we better measure drug toxicity for humans? How can we fight antibiotic resistance? How can we use Big health care data to improve preventive drug programmes? How can we optimize chronic drug use in ageing populations? How can we develop a business case for a new drug and determine costs of pharmaceutical programmes? If you have a pharmaceutical bachelor or bachelor from chemistry or biomedical sciences with pharmaceutical elements, this two-year Master's degree programme will enhance your career in the exciting world of the drug development life cycle! We cover all drug-related elements, from basic target discovery to molecular drug design, from analysis of drugs and biomarkers to pharmacological design of applications, from toxicology and biopharmacy to clinical pharmacoepidemiology, post marketing surveillance, policy and business. An unique asset of the master of medical pharmaceutical sciences is that the lectures and research take place in an interdisciplinary Life Sciences environment from chemistry to statistics, from biology to medicine, from epidemiology to economics, management and business, all situated within walking distance. Learning research by actually doing it is a second unique asset, and students will have the opportunity to design two large research projects according to their needs and talent. Teaching professors from the Groningen Research Institute of Pharmacy (see http://www.rug.nl/research/grip/) as well as from the University Medical Center Groningen all work closely together, which is considered unique worldwide. Lecturers will supervise you while you are independently performing experiments and go through the whole process of conducting a scientific drug-related study. The programme therefore is an excellent preparation for a succeeding PhD programme in the biological, medical or pharmaceutical sciences or for a career in industry, as a consultant or policy maker. You will be in the lead to design your own research programme or may choose a clear track which will prepare you or specialist positions. opbouw2-year programme; Credits per year: 60 ECTS; most courses are 5 ECTS. Design and tailor your own two-year research programme of master modules, electives and research projects in the wide scope of pharmaceutical research covering the drug development life cycle. Studying the safety of drugs is an important part of drug development. The toxicity of a substance is determined by the interactions of a substance at a molecular level, including interaction with receptors, enzymes, DNA and membranes in the body. In addition, the formation and detoxification of reactive metabolites and the level of exposure of the target tissues are important factors for toxicity. Exposure is largely determined by pharmacokinetics (toxicokinetics in case of toxic substances), which includes the rate and extend of absorption, distribution, metabolism including conversion into reactive metabolites and detoxification, and excretion. This field of study is often called ADME-Tox (Absorption, Disposition, Metabolism, Excretion – Toxicology). The vast array of available drugs and vaccines accentuate a clear need for drug designers, regulatory officers, pharmacovigilance experts, at the one hand. But there is also a need for pharmacists and other health care workers at the other hand, to know the determinants and health impact of drug use in ageing populations. Pharmacoepidemiology is the scientific area that through valid research advances the understanding of these topics. The specific track “Pharmacoepidemiology” covers the basics of the field by combining, basic medicine, pharmacy, epidemiology, biostatistics and demography. Further, the track allows for broadening expertise in laboratory drug sciences during a research project. It addresses pharmacists and pharmaceutical industry professionals who are involved with drug development or post-marketing surveillance as well as other professionals in the health care sector with an interest in drug epidemiology. Pharmaceutical engineering is a fast growing science and it requires novel strategies for target-identification, drug development, and formulation. Are you interested in designing new drugs or biologicals, or in new ways to formulate them? The increasing prevalence of chronic diseases, resistance to antibiotics and an ageing population require new views on drug development, as the current treatment arsenal provides insufficient disease-modifying capacity. 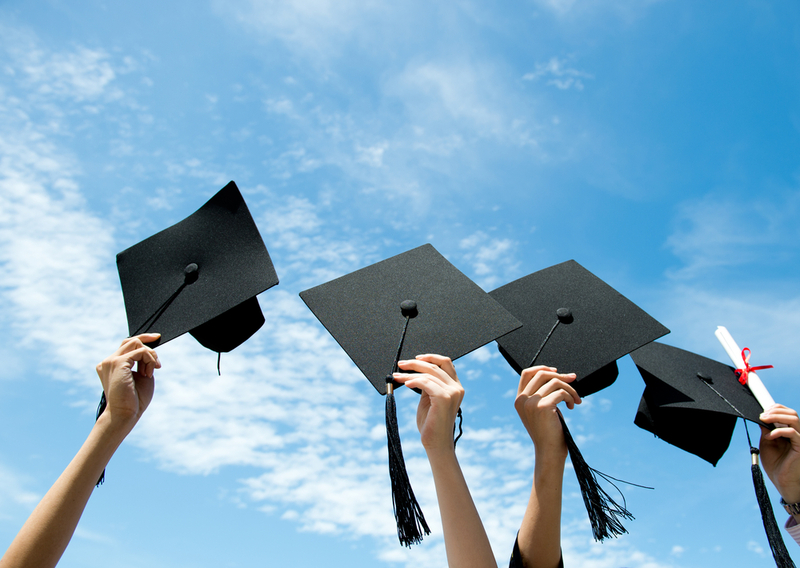 The track Pharmaceutical Design and Engineering offers education in the most recent developments in these areas. Interested in the business side of science? You can combine this Master's programme with the Science Business & Policy profile. 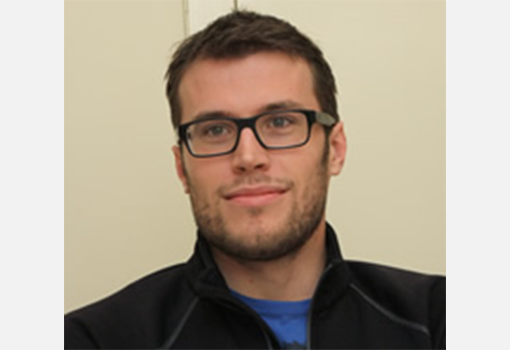 The SBP profile includes a six-month internship as a scientific advisor. Exchange: All our science and engineering programmes offer study abroad possibilities at a number of partner institutions, often as a second research project. Our partners include top-100 universities in Europe (for example in Germany, UK, and Sweden) and in the USA, China, South-East Asia, and South America. Bachelor's degree in Pharmaceutical Sciences, Pharmacy, or related research fields focusing on knowledge and skills at the interface of molecular and cellular biology, organic chemistry and biochemistry, and pharmaceutical sciences). 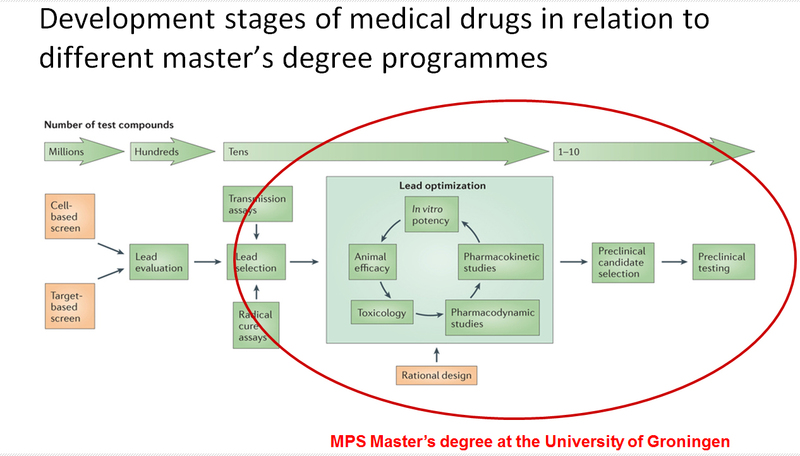 When choosing your degree it is important to know which ground of the development stages of drugs you will cover within your future programme. What I truly like about the MPS programme is that you can tailor your programme to match your own interests and skills. I still benefit from the interdisciplinary and hands-on character of the Master at my current job as mathematical modeller and health economist at Public Health England in London. These research projects learned me what I like to do most and inspired my further career choices. By providing the opportunity to work with and learn from various experts from pharmacy and medical sciences, the programme offers an excellent preparation for a future career in academia, government or industry. Medical Pharmaceutical Sciences aan de Rijksuniversiteit Groningen is beoordeeld door 14 respondenten. Gemiddeld waarderen ze de opleiding met 3.7 uit 5. During the degree programme you will learn and practice academic skills such as retrieving and systematic reviewing relevant literature on your topic, formulating hypotheses, design and perform experiments, and interpret, present and scientifically report your results. The programme therefore is an excellent preparation for a succeeding PhD programme in pharmaceutical, biological, or medical science (approx. 60%) or for a career in industry (approx. 30%), as a consultant (5%) or policy maker (5%). More than 80% of the students find a job within 6 months after their studies and we have a strong linked in alumni network of more than 100 ex-MPS students that can help you to find a job. What is more important, in the Groningen area the “Life Cooperative” combines efforts of tens of small and larger businesses with more than 2,100 fte personnel working in the area of medical-pharmaceutical research and business, and is growing fast. We also offer students who want to seek for a career abroad a global atmosphere, with small international academic student communities, which will prepare you for challenging global job positions. When you have finished the Master's programme in Medical Pharmaceutical Sciences you have multiple career options. You are optimally prepared to start a research career but you can also choose for a position that links science to business and policy. We have a strong Linked In network of former MPS students who can help you with preparing your career and finding job positions.